Google Allo looks like a pretty cool app from what we've seen so far, but Google apparently didn't actually show off too much from the app. Google mentioned the features you'd get by having Google brains built in, but we didn't know a whole lot about the messaging app itself. The app won't be out until this summer, but that hasn't stopped one hacker from creating a walkthrough from a leaked APK. 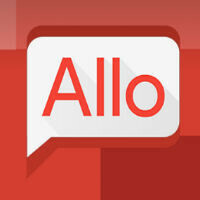 Allo is being tested by a small, select group of users right now so it isn't widely available to the public yet. But, it seems that some people who have gone to the Play Store listing for the app (which is just a pre-registration page right now) have been allowed to install a non-functional version of the app. One of those people was XDA user Quinny899, who downloaded the APK, tore it down, and got it working in offline mode. He couldn't send messages to anyone, but he was able to make a good walkthrough of how the app looks and some of the chat functions. It really does look like a Google-fied version of WhatsApp. You can send text (big or small), sound clips, and even video through the app. There are group chats as well as the private (Incognito) chats. It looks like it has all of the functionality that you'd want from a chat app (except maybe SMS support), but then once you get it online, it'll have all of the extra Googleness, including smart replies, Search integration, and more. If you want, you can head to the source and get info on trying out Allo in offline mode by using Xposed. I can't wait to test it out, so far iMessage is still the one to beat. ..... I don't really care about messaging apps all the much. So long as I can swipe to type and message the people I care about then I'm happy. I am pretty interested in the Duo app though, but that's video chat, not messaging app. Google: the company that makes 10 apps that do the exact same thing. Make sure and invite all of your friends to use this app, which is better because it's new, and the same as the others.